Your pattern (functionally) has 1 DC on each side edge, and V-stitches between. I say 'functionally' because the the starting "DC" is the chain 3 turning chain. V stitches and shells are relatives, but not quite the same thing. 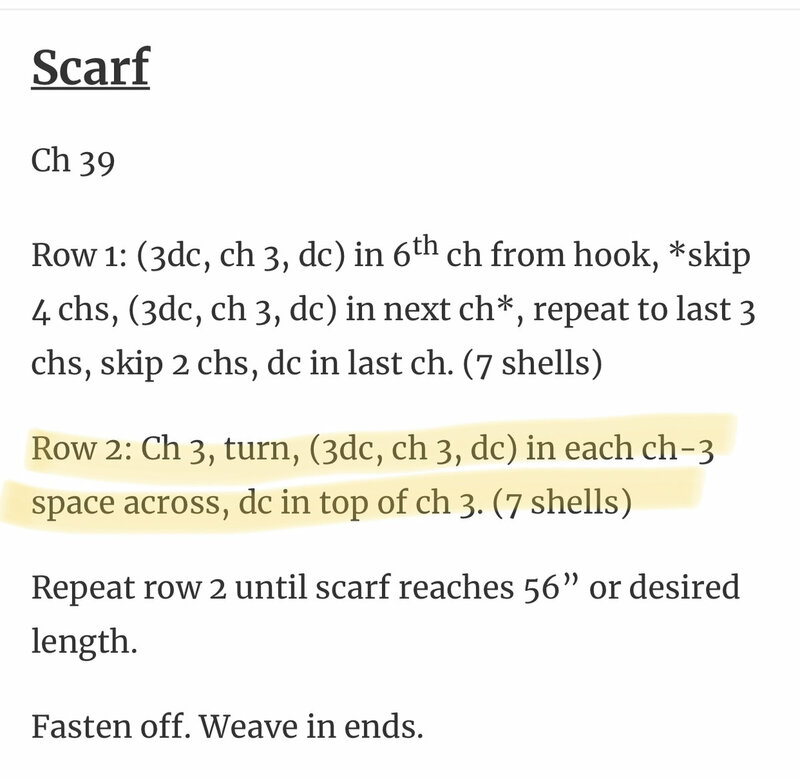 Shells are usually x of the same stitch type (like 3 DCs for example) into 1 stitch, then a short stitch (slst or sc), then another shell, skipping some number between shell and short stitch depending on how many stitches the shell has. V stitches are x DCs, y chains, x DCs all into 1 stitch (x and are often different numbers, but can be the same number as in your pattern, where both are 3). So think of the unit you are making as an "assembly" of 3DC+3CH+3DC. Also, V stitches are missing the 'short stitch between', instead the last stitch of a V-stitch assembly is adjacent to the first stitch of the next assembly. After the first setup row it gets easier. Except for the ends, it's just make that assembly into each chain space in the middle of the "assembly" in the row below. The ends are just CH3 at the beginning, and DC into the CH3 that started the row below. My bad, I misread and saw an extra 3 that wasn't there - I'm SO sorry for confusing you more. I (wrongly) said the V stitch/'shell' in your pattern was 3DC+3CH+3DC, all into 1 stitch. What I should have said is 3DC+3CH+1DC which Bgs cleared up. The point I was (too verbosely) trying to make was for you not to think of just the 3 DC as the 'shell', it's the whole group of 3DC+3CH+1DC. And after the first setup row, you just make 'shells' into the chain loop of the 'shells' below.